Esha Deol is currently in the final stages of her pregnancy and is enjoying every moment of the phase. The Yuva actress has been regularly sharing pictures of some of the most memorable moments of her pregnancy. Once again the actress took to her Instagram account and shared a picture that resembles her mother, Hema Malini. 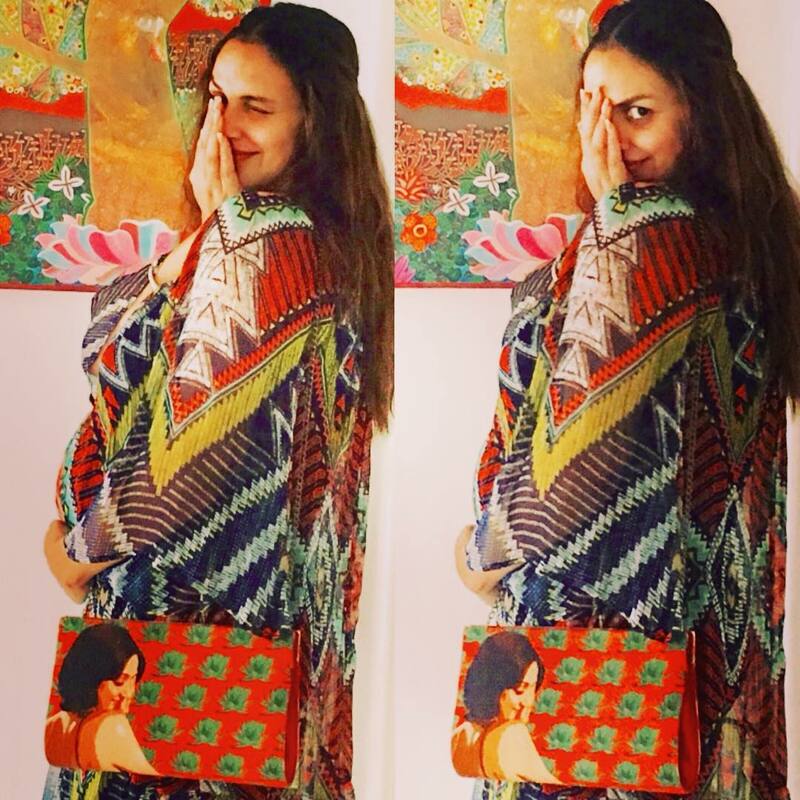 The picture has shown a heavily pregnant Esha holding her baby bump while carrying a sling bag, that has the picture of the veteran actress, Hema. Esha looks pretty in a colorful multicolored kaftan top and looked pretty as she posed for the camera. The actress is married to businessman Bharat Takhtani and their first child is expected to be delivered by the end of October, 2017. 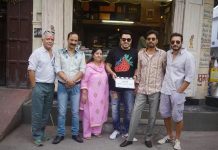 The entire Deol family and Takhtani family are excited for the new family member expected soon. Esha and Bharat got married again on the day of their baby shower. The actress was seen dressed in a pretty asymmetric outfit and the event was attended by close friends and family members. Mother Hema in an earlier interview said that she had sensed Esha’s pregnancy much before she told her about it. On the work front, the actress was last seen in the Telugu film, Maanja and then took a break to look after her family post marriage.